Find out if your Member of Congress accepted NRA money and tell them we’ve had enough. Fill out the form below so we can find the number for you to call. Paid for by Everytown for Gun Safety Action Fund, www.everytown.org and not authorized by any candidate or candidate’s committee. Susan I. just signed the Follow The NRA Money petition. Amy V. just signed the Follow The NRA Money petition. 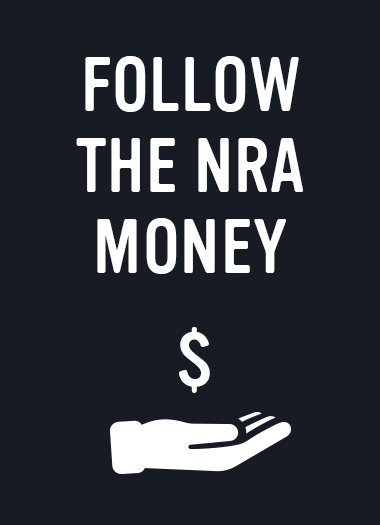 Anna L. just signed the Follow The NRA Money petition. Heidi F. just signed the Follow The NRA Money petition. Scott H. just signed the Follow The NRA Money petition.